Major wakeboarding industry publication says no more “unsafe” riding on the pages of their monthly. Transworld Wakeboarding has declared in it's January issue (the 20th anniversary edition), that they will no longer feature photos of riders not wearing a life jacket while riding behind a boat or in a large cable park. This is a huge concept for a sport where safety, in many cases, ends up taking a backseat to style. For a publication that handles the visual side of the industry to say riders must obey safety standards to be featured in their magazine is setting an excellent example for all riders. Like it or not, many amateur riders do follow the lead of their heroes in the magazines and videos. Having all the pros and trendsetters keeping it safe while pushing the limits of the sport will lead to less injury not only for themselves, but for all aspiring wakeboarders and beginners out there. The magazine is even going so far as to put “Vest Verified” logos on images where the use of a vest may not be completely obvious in the photo. Underneath the large type of “Vest Verified” will read “THIS RIDER IS WEARING A VEST!” They are actively seeking verification of photos before they go to print. According to the US Coast Guard, “72% of boating deaths that occurred during 2010 were caused by drowning, with 88% of victims not wearing life jackets.” These types of deaths could have been prevented by the use of a life jacket. Statistics show that most cases of boat related drownings are caused by a lack or improper usage of life jackets. Modern life jackets are comfortable and ergonomically engineered and designed for maximum safety, without sacrificing style or comfort. 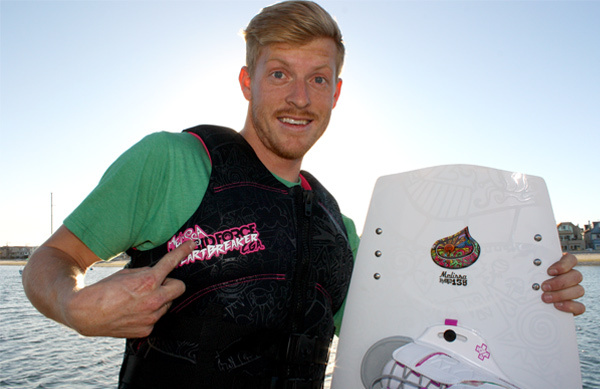 As proponents of safety and proper life jacket usage, we at the Mission Bay Aquatic Center, applaud Transworld Wakeboarding for being a leader in the Wakeboarding Industry and stepping up to promote safe riding. We look forward to seeing a shift in the attitude toward vests as they continue to save lives and keep boating fun & safe!